● The content slider on the store homepage features all active sale events – navigate through this section using the side arrows to view exclusive deals from Northern Tool. ● Save up to 60% off your purchase by shopping for items featured on the On Sale page. ● Visit the Rebate Section to get free gift cards on select purchases. ● Get a free catalog by clicking on the ‘Free Catalog’ button on the bottom of the homepage. ● The company occasionally offers free shipping on selected items. If an item is eligible for free shipping, it will be marked as such. Professionals in the labor industry and home owners will always need to find the right tools for one job or another. Northern Tool is a company that gives customers the ability to shop through an inclusive hardware store without having to leave their home. If you’re searching for a specific type of tool you can access the categories to browse through agriculture equipment, food processing, generators, and more. You can also shop for tools by their brand such as Carhartt, NorthStar, and DeWalt. Customers that want to take advantage of sales and discounts should consider visiting the “Deals” section through the home page. 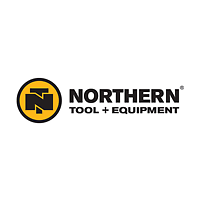 For most up to date offers check out Northerntool on Facebook and Twitter or contact Northerntool Support for any questions.